Molecular formula C2H5OH or C2H6O. Ethanol, also known as ethyl alcohol, drinking alcohol, or grain alcohol, is a flammable, colorless, slightly toxic chemical compound with a distinctive perfume-like odor. It is best known as the alcohol found in alcoholic beverages. In common usage, it is often referred to simply as alcohol. Its molecular formula is variously represented as EtOH, CH3CH2OH, C2H5OH or C2H6O. Ethanol's hydroxyl group is able to participate in hydrogen bonding. At the molecular level, liquid ethanol consists of hydrogen-bonded pairs of ethanol molecules; this phenomenon renders ethanol more viscous and less volatile than less polar organic compounds of similar molecular weight. In the vapor phase, there is little hydrogen bonding; ethanol vapor consists of individual ethanol molecules. Ethanol, like most short-chain alcohols, is flammable, colorless, has a strong odor, and is volatile. 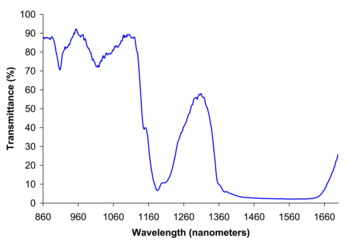 Ethanol has a refractive index of 1.3614. Ethanol is a versatile solvent. It is miscible with water and with most organic liquids, including nonpolar liquids such as aliphatic hydrocarbons. Organic solids of low molecular weight are usually soluble in ethanol. Among ionic compounds, many monovalent salts are at least somewhat soluble in ethanol, with salts of large, polarizable ions being more soluble than salts of smaller ions. Most salts of polyvalent ions are practically insoluble in ethanol. Furthermore, ethanol is used as a solvent in dissolving medicines, food flavorings and colorings that do not dissolve easily in water. Once the non-polar material is dissolved in the ethanol, water can be added to prepare a solution that is mostly water. The ethanol molecule has a hydrophilic -OH group that helps it dissolve polar molecules and ionic substances. The short, hydrophobic hydrocarbon chain CH3CH2- can attract non-polar molecules. Thus, ethanol can dissolve both polar and non-polar substances. Several unusual phenomena are associated with mixtures of ethanol and water. Ethanol-water mixtures have less volume than their individual components: a mixture of equal volumes ethanol and water has only 95.6 percent of the volume of equal parts ethanol and water, unmixed. The addition of even a small amount of ethanol to water sharply reduces the surface tension of water. This property partially explains the tears of wine phenomenon: when wine is swirled inside a glass, ethanol evaporates quickly from the thin film of wine on the wall of the glass. As its ethanol content decreases, its surface tension increases, and the thin film beads up and runs down the glass in channels rather than as a smooth sheet. Chemical formula of ethanol, (C is carbon, the dash is a single bond, H is hydrogen, O is oxygen). The reverse reaction, hydrolysis of the resulting ester back to ethanol and the carboxylic acid, limits the extent of reaction, and high yields are unusual unless water can be removed from the reaction mixture as it is formed. Esterification can also be carried out using more a reactive derivative of the carboxylic acid, such as an acyl chloride or acid anhydride. A very common ester of ethanol is ethyl acetate, found in for example nail polish remover. The process of culturing yeast under conditions to produce alcohol is referred to as brewing. Brewing can only produce relatively dilute concentrations of ethanol in water; concentrated ethanol solutions are toxic to yeast. The most ethanol-tolerant strains of yeast can survive in up to about 15 percent ethanol (by volume). At petroleum prices like those that prevailed through much of the 1990s, ethylene hydration was a decidedly more economical process than fermentation for producing purified ethanol. Later increases in petroleum prices, coupled with perennial uncertainty in agricultural prices, make forecasting the relative production costs of fermented versus petrochemical ethanol difficult. The product of either ethylene hydration or brewing is an ethanol-water mixture. For most industrial and fuel uses, the ethanol must be purified. Fractional distillation can concentrate ethanol to 95.6 percent by weight (89.5 mole percent). The mixture of 95.6 percent ethanol and 4.4 percent water (percentage by weight) is an azeotrope with a boiling point of 78.2 °C, and cannot be further purified by distillation. Therefore, 95 percent ethanol in water is a fairly common solvent. Alternatively, a molecular sieve can be used to selectively absorb the water from the 95.6 percent ethanol solution. Synthetic zeolite in pellet form can be used, as well as a variety of plant-derived absorbents, including cornmeal, straw, and sawdust. The zeolite bed can be regenerated essentially an unlimited number of times by drying it with a blast of hot carbon dioxide. Cornmeal and other plant-derived absorbents cannot readily be regenerated, but where ethanol is made from grain, they are often available at low cost. Absolute ethanol produced this way has no residual benzene, and can be used to fortify port and sherry in traditional winery operations. Membranes can also be used to separate ethanol and water. The membrane can break the water-ethanol azeotrope because separation is not based on vapor-liquid equilibria. Membranes are often used in the so-called hybrid membrane distillation process. This process uses a pre-concentration distillation column as first separating step. The further separation is then accomplished with a membrane operated either in vapor permeation or pervaporation mode. Vapor permeation uses a vapor membrane feed and pervaporation uses a liquid membrane feed. At pressures less than atmospheric pressure, the composition of the ethanol-water azeotrope shifts to more ethanol-rich mixtures, and at pressures less than 70 torr (9.333 kPa) , there is no azeotrope, and it is possible to distill absolute ethanol from an ethanol-water mixture. While vacuum distillation of ethanol is not presently economical, pressure-swing distillation is a topic of current research. In this technique, a reduced-pressure distillation first yields an ethanol-water mixture of more than 95.6 percent ethanol. Then, fractional distillation of this mixture at atmospheric pressure distills off the 95.6 percent azeotrope, leaving anhydrous ethanol at the bottoms. Cellulosic materials typically contain, in addition to cellulose, other polysaccharides, including hemicellulose. When hydrolysed, hemicellulose breaks down into mostly five-carbon sugars such as xylose. S. cerevisiae, the yeast most commonly used for ethanol production, cannot metabolize xylose. Other yeasts and bacteria are under investigation to metabolize xylose and so improve the ethanol yield from cellulosic material. In most jurisdictions, the sale of ethanol, as a pure substance or in the form of alcoholic beverages, is heavily taxed. In order to relieve non-beverage industries of this tax burden, governments specify formulations for denatured alcohol, which consists of ethanol blended with various additives to render it unfit for human consumption. These additives, called denaturants, are generally either toxic (such as methanol) or have unpleasant tastes or odors (such as denatonium benzoate). Completely denatured alcohols are formulations that can be purchased for any legal purpose, without permit, bond, or other regulatory compliance. It is intended that it be difficult to isolate a product fit for human consumption from completely denatured alcohol. For example, the completely denatured alcohol formulation used in the United Kingdom contains (by volume) 89.66 percent ethanol, 9.46 percent methanol, 0.50 percent pyridine, 0.38 percent naphtha, and is dyed purple with methyl violet. It is not possible to obtain absolute alcohol by simple fractional distillation, because a mixture containing around 95.6 percent alcohol and 4.4 percent water becomes a constant boiling mixture (an azeotropic mixture). In one common industrial method to obtain absolute alcohol, a small quantity of benzene is added to rectified spirit and the mixture is then distilled. Absolute alcohol is obtained in the third fraction that distills over at 78.2 °C (351.3 K). Currently, the most popular method of purification past 95.6 percent purity is desiccation using adsorbents such as starch or zeolites, which adsorb water preferentially. Azeotropic distillation and extractive distillation techniques also exist. Pure ethanol is classed as 200 proof in the United States, equivalent to 175 degrees proof in the (now rarely used) UK system. The largest single use of ethanol is as a motor fuel and fuel additive. The largest national fuel ethanol industries exist in Brazil (gasoline sold in Brazil contains at least 20 percent ethanol and hydrous ethanol is also used as fuel). In order for ethanol to be suitable for use as a replacement to petrol in its pure form, it must be distilled to at least 70-80 percent purity by volume before use. For use as an additive to petrol, almost all water must be removed, otherwise it will separate from the mixture and settle to the bottom of the fuel tank, causing the fuel pump to draw water into the engine, which will cause the engine to stall. Today almost 50 percent of Brazilian cars are able to use 100 percent ethanol as fuel, that includes ethanol only engines and flex fuel engines. Flex fuel engines are able to work with all ethanol, all gasoline or any mixture of both, giving the buyer a choice for a perfect balance between price/performance issue. That was only possible due to the capability of an efficient sugar cane production. Sugar cane not only has a greater concentration of sucrose (about 30 percent more than corn) but is also much easier to extract. The bagasse generated by the process is not wasted and it is utilized in power plants becoming a surprisingly efficient source of electricity. World production of ethanol in 2015 was 24.7 billion gallons, with 88 percent of the world supply coming from Brazil and the United States. One method of production is through fermentation of sugar. Ethanol creates very little pollution when burned. Millions more acres of land are needed if ethanol is to be used to replace gasoline. Pure ethanol has a lower energy content than gasoline (about 30 percent less energy per unit volume). At gas stations, ethanol is contained in a mix of ethanol and gasoline, otherwise known as gasohol. In the United States, the color yellow (symbolizing the color of corn) has become associated with the fuel and is commonly used on fuel pumps and labels. The US uses Gasohol (max 10 percent ethanol) and E85 (85 percent ethanol) ethanol/gasoline mixtures. As reported in "The Energy Balance of Corn Ethanol: an Update," the energy returned on energy invested (EROEI) for ethanol made from corn in the United States is 1.34 (it yields 34 percent more energy than it takes to produce it). Input energy includes natural gas based fertilizers, farm equipment, transformation from corn or other materials, and transportation. Oil has historically had a much higher EROEI, especially on land in areas with pressure support, but also under the sea, which only offshore drilling rigs can get to. Apart from this, the amount of ethanol needed to run the United States, for example, is greater than its own farmland could produce, even if fields used for food were converted into cornfields. For these reasons, many people do not view ethanol alone as a solution to replacing conventional oil. Others, however, disagree, pointing out that ethanol production does not necessarily have to come from the farming of corn. For instance, Liquid Fuels of Ohio produces ethanol from expired groceries. Politics has played a significant role in this issue. Advocates for wheat, corn, and sugar growers have succeeded in their attempts to lobby for regulatory intervention encouraging adoption of ethanol, stimulating debate over who the major beneficiaries of increased use of ethanol would be. Some researchers have warned that ethanol produced from agricultural feedstocks will cause a global food shortage, contributing to starvation in the Third World. This has led to the development of alternative production methods that use feedstocks such as municipal waste or recycled products, rice hulls, sugarcane bagasse, small diameter trees, wood chips, and switchgrass. These methods have not yet reached the stage of commercialization. Research shows that fuel consumption increases with the concentration of ethanol in a fuel blend. An Australian study concluded that a 10 percent ethanol blend (E10) yielded a 2.6-2.8 percent increase in consumption. Blends of up to 10 percent are normally regarded as the safe maximum for a vehicle designed to operate on petroleum. However ethanol blends can run at up to 85 percent or higher in specially designed flexible fueled vehicles. Consumer Reports, October 2006, questions the fuel economy of a flex fuel vehicle . Specifically, the report notes that fuel economy drops when an automobile uses E-85. Fermented beverages can be broadly classified by the foodstuff from which they are fermented. Beers are made from cereal grains or other starchy materials, wines and ciders from fruit juices, and meads from honey. Cultures around the world have made fermented beverages from numerous other foodstuffs, and local and national names for various fermented beverages abound. Fermented beverages may contain up to 15–25 percent ethanol by volume, the upper limit being set by the yeast's tolerance for ethanol, or by the amount of sugar in the starting material. Vinegar is a dilute solution of acetic acid prepared by the action of Acetobacter bacteria on ethanol solutions. Although traditionally prepared from alcoholic beverages including wine, apple cider, and unhopped beer, vinegar can also be made from solutions of industrial ethanol. Vinegar made from distilled ethanol is called "distilled vinegar," and is commonly used in food pickling and as a condiment. Ethanol is easily soluble in water in all proportions with a slight overall decrease in volume when the two are mixed. Absolute ethanol and 95 percent ethanol themselves are good solvents, somewhat less polar than water and used in perfumes, paints and tinctures. Other proportions of ethanol with water or other solvents can also be used as a solvent. Alcoholic drinks have a large variety of tastes because various flavor compounds are dissolved during brewing. When ethanol is produced as a mixing beverage it is a neutral grain spirit. Ethanol is used in medical wipes and in most common antibacterial hand sanitizer gels at a concentration of about 62 percent (percentage by weight, not volume) as an antiseptic. The peak of the disinfecting power occurs around 70 percent ethanol; stronger and weaker solutions of ethanol have a lessened ability to disinfect. 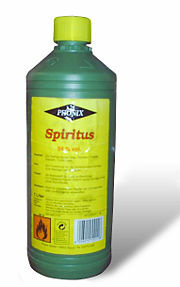 Solutions of this strength are often used in laboratories for disinfecting work surfaces. Ethanol kills organisms by denaturing their proteins and dissolving their lipids and is effective against most bacteria and fungi, and many viruses, but is ineffective against bacterial spores. Alcohol does not act like an antibiotic and is not effective against infections by ingestion. Ethanol in the low concentrations typically found in most alcoholic beverages does not have useful disinfectant or antiseptic properties, internally or externally. Ethanol is often used as an antidote in cases of methanol poisoning. Wine with less than 16 percent ethanol is vulnerable to bacteria. Because of this, port is often fortified with ethanol to at least 18 percent ethanol by volume to halt fermentation. This helps retain sweetness, and in preparation for aging it becomes possible to prevent the invasion of bacteria into the port, and to store the port for long periods of time in wooden containers that can 'breathe', thereby permitting the port to age safely without spoiling. Because of ethanol's disinfectant property, alcoholic beverages of 18 percent ethanol or more by volume can be safely stored for a very long time. In the human body, ethanol is first oxidized to acetaldehyde, then to acetic acid. The first step is catalyzed by the enzyme alcohol dehydrogenase, and the second by acetaldehyde dehydrogenase. The amount of ethanol in the body is typically quantified by blood alcohol content (BAC), the milligrams of ethanol per 100 milliliters of blood. The table at right summarizes the symptoms of ethanol consumption. Small doses of ethanol generally produce euphoria and relaxation; people experiencing these symptoms tend to become talkative and less inhibited, and may exhibit poor judgment. At higher dosages (BAC > 100mg/dl), ethanol acts as a central nervous system depressant, producing at (progressively higher dosages) impaired sensory and motor function, slowed cognition, stupefaction, unconsciousness, and possible death. The initial product of ethanol metabolism, acetaldehyde, is more toxic than ethanol itself. The body can quickly detoxify some acetaldehyde by reaction with glutathione and similar thiol-containing biomolecules. When acetaldehyde is produced beyond the capacity of the body's glutathione supply to detoxify it, it accumulates in the bloodstream until further oxidized to acetic acid. The headache, nausea, and malaise associated with an alcohol hangover stem from a combination of dehydration and acetaldehyde poisoning; many health conditions associated with chronic ethanol abuse, including liver cirrhosis, alcoholism, and some forms of cancer, have been linked to acetaldehyde. 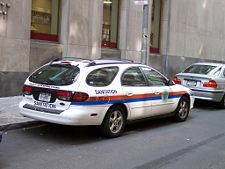 The judicial system in the United States, in a number of jurisdictions, controversially, promoted the use of disulfiram, known as Antabuse, for persons convicted of driving while (alcohol) intoxicated. Disulfiram interferes with hepatic acetaldehyde metabolism, exacerbating the discomforts noted above. Some medications, including paracetamol (acetaminophen), as well as exposure to organochlorides, can deplete the body's glutathione supply, enhancing both the acute and long-term risks of even moderate ethanol consumption. Frequent use of alcoholic beverages has also been shown to be a major contributing factor in cases of elevated blood levels of triglycerides. Ethanol has been shown to increase the growth of Acinetobacter baumannii, a bacterium responsible for pneumonia, meningitis and urinary tract infections. This finding may contradict the common misconception that drinking alcohol could kill off a budding infection. With 1 mL of sample (Ethyl Alcohol), add 3 drops of Carbon disulfide and a pellet of Potassium hydroxide in a small evaporating dish. Heat and when most of the carbon disulfide has evaporated, add 1 drop of Ammonium molybdate solution (1:10). Acidify with concentrated Sulfuric acid. Positive results gives a violet-colored solution. Acetaldehyde and Acetone react similarly and would yield the positive result. Ethanol-water solutions greater than about 50 percent ethanol by volume are flammable (in some cases ethanol will burn at as low as a 45 percent solution) and easily ignited. 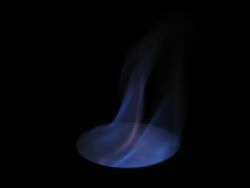 Ethanol-water solutions below 50 percent ethanol by volume may also be flammable if the solution is vaporized by heating (as in some cooking methods that call for wine to be added to a hot pan, causing it to flash boil into a vapor, which is then ignited to "burn off" excessive alcohol). ↑ 2.0 2.1 J.E. Lodgsdon, "Ethanol." In J.I. Kroschwitz (ed. ), Encyclopedia of Chemical Technology, 4th ed. New York: John Wiley & Sons, 1994. ↑ Frequently Asked Questions. Red Trail Energy, LLC. Retrieved October 19, 2016. ↑ Lynn Ellen Doxon, The Alcohol Fuel Handbook (Tallgrass Research Center, 1980). ↑ Caroline Wyatt, Draining France's 'wine lake'. BBC news, August 10, 2006. Retrieved October 19,2016. ↑ Steve Inskeep, Japan Plans Its Own Green Fuel. Morning Edition, NPR, May 15, 2007. Retrieved October 19, 2016. ↑ S.W. Mathewson, The Manual for the Home and Farm Production of Alcohol Fuel (Berkeley, CA: Ten Speed Press, 1980, ISBN 0898150302). Retrieved October 19, 2016. ↑ S.K. Ritter, "Biomass or Bust." Chemical & Engineering News 82(22) (2004):31–34. ↑ P.C. Badger, Ethanol From Cellulose: A General Review Retrieved October 19, 2016. In: J. Janick and A. Whipkey (eds. ), Trends in new crops and new uses (Alexandria, VA: ASHS Press, 2002). ↑ Nicolae Sfetcu, Health & Drugs: Disease, Prescription & Medication (Lulu, 2014, ISBN 978-1312039995). ↑ Sustainable Energy Resources. Bioengineering Resources, Inc. Retrieved October 19, 2016. ↑ R. Rapier, "E3 Biofuels: Responsible Ethanol" R-Squared Energy Blog, 2006. Retrieved October 19, 2106. ↑ Great Britain, The Denatured Alcohol Regulations 2005. Statutory Instrument 2005 No. 1524. Retrieved October 19, 2016. ↑ Monte Reel, "Brazil's Road to Energy Independence" The Washington Post, August 20, 2006. Retrieved October 19, 2016. ↑ Gasohol, E-85, and pure alcohol vs. "Make your own". Retrieved October 19, 2016. ↑ Renewable Fuels Association Industry Statistics. Retrieved October 19, 2016. ↑ Hosein Shapouri, James A. Duffield, and Michael Wang, The Energy Balance of Corn Ethanol: an Update. United States Department of Agriculture, June 1, 2002. Retrieved October 19, 2016. ↑ U.S. seeks to boost ethanol, biodiesel. USA Today, April 11, 2007. Retrieved October 19, 2016. ↑ U.N.: Not so fast with ethanol, other biofuels. Associated Press, May 8, 2007. Retrieved October 19, 2016. ↑ L.A. Pohorecky and J. Brick, 1988, "Pharmacology of ethanol." Pharmacology & Therapeutics 36(3):335-427. ↑ Triglycerides: Frequently Asked Questions, American Heart Association. Retrieved October 19, 2016. ↑ M.G. Smith and M. Snyder, "Ethanol-induced virulence of Acinetobacter baumannii." 2005. Boyce, John M., and Pittet Didier. 2003. “Hand Hygiene in Healthcare Settings.” Centers for Disease Control, Atlanta, Georgia. Retrieved October 19, 2016. Lodgsdon, J.E. "Ethanol." In J.I. Kroschwitz (ed.). Encyclopedia of Chemical Technology, 4th ed. 9: 812–860. New York: John Wiley, 1994. McMurry, John. Organic Chemistry. 6th ed. Belmont, CA: Brooks/Cole, 2004. ISBN 0534420052. Morrison, Robert T., and Robert N. Boyd. Organic Chemistry. 6th ed. Englewood Cliffs, NJ: Prentice Hall, 1992. ISBN 0136436692. Smith, M.G., and M. Snyder. "Ethanol-induced virulence of Acinetobacter baumannii." 2005. Solomons, T.W. Graham, and Fryhle, Craig B. Organic Chemistry. 8th ed. Hoboken, NJ: John Wiley, 2004. ISBN 0471417998. Sci-toys website explanation of US denatured alcohol designations. Reducing the negative effects of alcohol by taking cysteine and vitamin C.
NIST Chemistry WebBook page for ethanol. This page was last modified on 15 August 2017, at 15:26.